Does Japan have a monopoly on cool Starbucks? It can seem that way. Later this year, the country is getting yet another neat-looking one. Fukuoka already has this cool one. A very nice Starbucks in Hirosaki. And check out this Starbucks in Hiroshima. A Starbucks in a historic Kobe building. This Kyoto one is lovely. 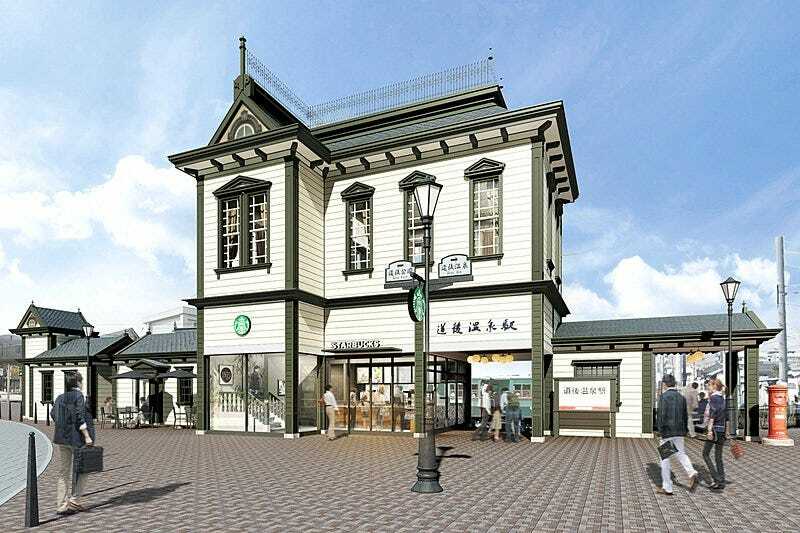 And in December, a new Starbucks is opening in an old building: Dogo Onsen Station. Located in Matsuyama, the building is a reconstruction of the original station built in 1911. It’s a prime example of the Western style buildings that went up during the Meiji Period. And here’s how the inside will look. Hopefully, the ghost people won’t be there when this Starbucks opens on December 22.